There's always a buzz and energy as summer comes to an end and we start our "back to school" rituals and traditions. New knapsacks, lunch bags, and shopping for school supplies. There are discussions over teachers, and who might be in their classes. My kids are teens, one in high school and the other starting college so there's also focus on tech to purchase, schedules, managing the work load, pressures around marks, and college and university. And there's the mandatory parent-child discussion about working hard, making this year count and how decisions you make now can impact your future for many years to come. My kids have heard it for so many years I'm sure to them I sound like the teacher from Charlie Brown. "wah wah wah ... wah wah" and another thing "wah wah wah"
Notice the smile set in place, and the eyes are starting to glace over. Soon the automated nodding of the head to appear to be listening will begin! I call this the "Wah Wah Syndrome" and find one way to counteract it is watching some of the great series on Netflix Canada based on the life of teens with my kids. Not only does it keep the kids attention, it also gives me as a parent insight into some of the issues kids are facing at school today. It can be a good parent-child bonding opportunity, and a great way to segue into important conversations with your kids. There are lots of great series for the younger kids too! So starting this year I'm adding watching relevant shows and then talking about back to school with the kids to our "back to school" traditions. I feel it's important to talk with (not at) my kids about acceptance, tolerance, peer pressure, not to mention academics and the importance of a good education. 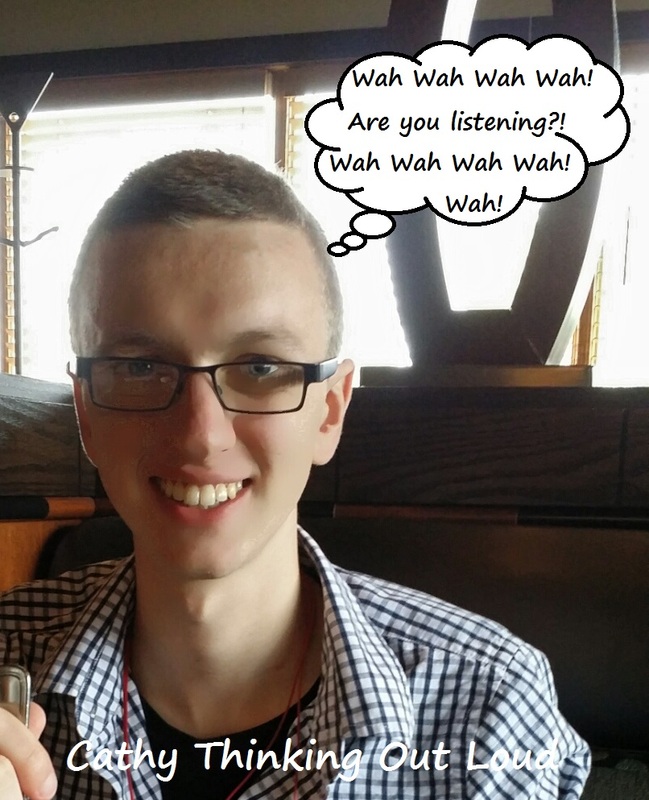 I think Netflix might be the perfect way to do that without the Wah Wah Syndrome. To keep up on all the new releases and news follow Netflix Canada on twitter or Netflix Canada on facebook. If you have some favourites to counteract Wah Wah Syndrome please share them with me in the comments section. I would love to hear them! Yep, just me Cathy thinking out loud about Netflix Streamteam ... wah wah wah. Note: As a member of the Netflix Streamteam I receive Netflix and a steaming device free of charge for the purpose of my Netflix Streamteam reviews and posts. All opinions are my own. A college or university student's room whether a bedroom at home or a dorm room needs to be planned and organized to meet four main functions. Thirty years ago I sat at the kitchen table to put together my course schedule and prepare for my first year of university all without the ease of apps, cell phones or the internet. 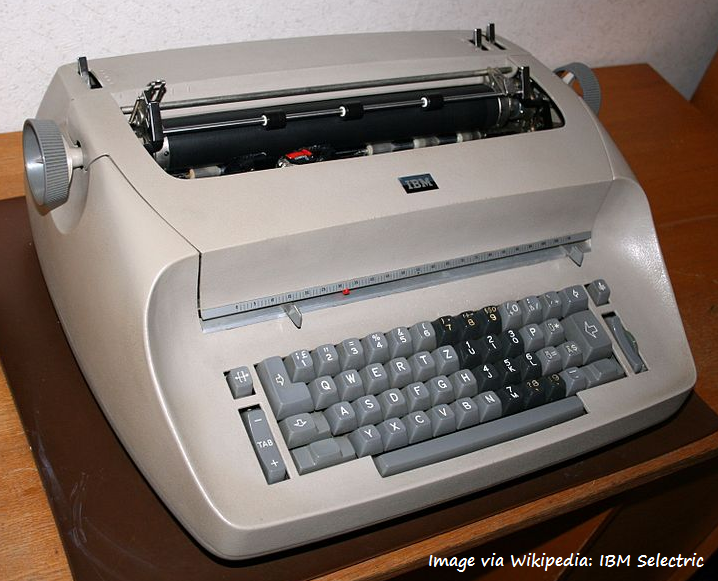 My tech was a second hand electric typewriter, textbooks were in hard copy and heavy, notes were taken by hand, and a periodical index rather than Google was how you search for magazine articles on a specific topic. Although the technology has changed over the last 30 years, starting university still marks the start of a new chapter one's academic and personal life. This September my eldest son, affectionately referred to as Thing One is starting college, and we're busy preparing for the start of the school year. Even though he'll be living at home this year our goal is to organize his room to function like a dorm room. We want him to feel that he's really starting a new chapter of his life, and to ensure he has all the tools he needs to have the best year ever. A Student's Room has four main functions or stations. This includes all the tools and requirements to successfully complete your courses including workspace, technology, organization, and time management. A comfortable chair, good task lighting and outlets to charge devices are a must. This includes a bed and bedding. Also important is minimizing outside light and noises, and blackout blinds and noise cancelling headphones are great for this. Air purifiers are especially important in small stuffy dorm rooms. A fan and good alarm clock are also must have items for student life. Having some personal down time is important, as is having an area and activities to relax and forget about the pressures and stress of school, exams and assignments. This may include comfy seating, a TV, gaming console, blue-tooth speaker, headphones, and storage for all of this. Storage and efficient use of space is a must in a small room. Clothes, and all other belongings need to have a place. Plastic chests of drawers and 3M Command hooks are great storage options. Using bed risers to gain more under-the-bed storage is also another great option. In the Destination: Back to Campus section of Canadian Tire's website there are tons of student life hacks, products, and ideas about dorm room decor and living. 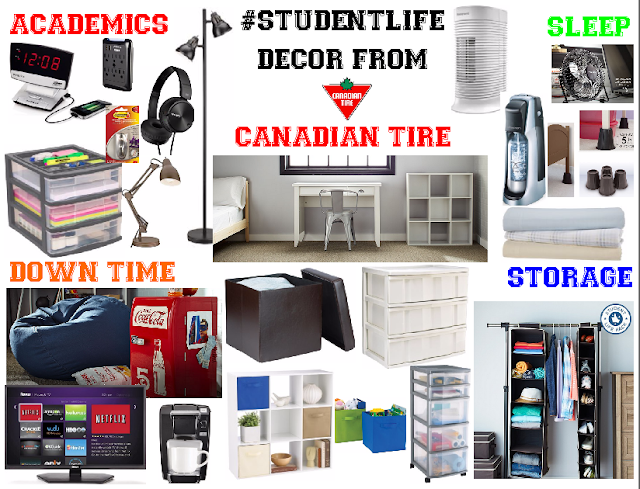 Better yet share an idea or student life hack and enter Canadian Tire's giveaway and possibly win a Canadian Tire gift card. 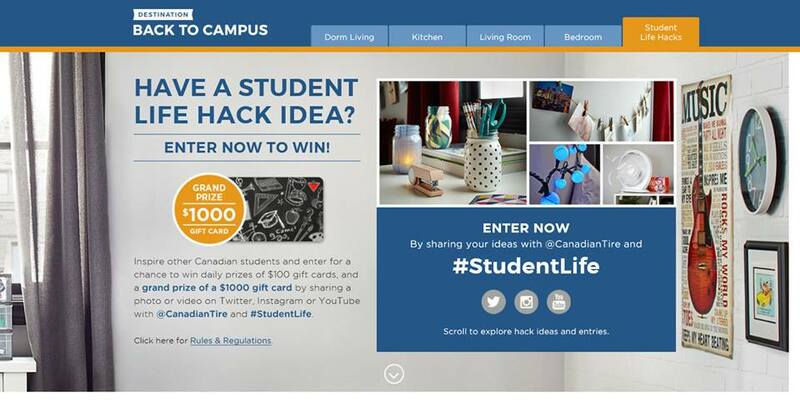 The grand prize is $1000 gift card that would go a long way for someone on a student life budget. Plus there are daily $100 gift cards to be won. Yep, just me Cathy thinking out loud about #StudentLife. Note: I was compensated for this post and to share my ideas and preparations for my child's start of #studentlife at college. All opinions are my own and reflect my personal experience with the brand or products. 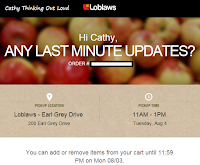 Loblaws has a new service called "Click and Collect"! It's a simple concept: Order your groceries on-line and pick them up at the store. My life is busy and chaotic at the best of times, so I'm always interested in products and services that help calm the chaos. 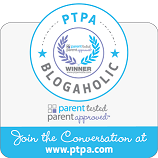 My perspective on the value of a product or service is greatly impacted by that fact I'm Mom to two teenage boys, often referred to as "The Evil Teens". Non-response to enquiries about which grocery items they want AND refusal to accompany me grocery shopping to choose items themselves, followed by complaints about there never being anything to eat only seconds after returning from said grocery shopping is just one of the ways they've earned their "Evil Teens" title. On any given day, week, month I'm suppose to read their minds and know their latest dietary goals, cravings and food preferences. "Anything to eat" means snacks and baked goods one day and ingredients for an omelet the next. It's a constant cycle of not having what they want or guessing wrong and watching food spoil or expire only to be fed to the compost bin. 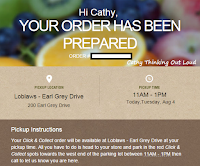 With Loblaws' Click and Collect the evil teens don't even have to move from the chair they're lounging in, they simply click using the piece of technology currently in their paws to add the items they want to the grocery order. On August 2nd placed my first Click and Collect order. Nice Feature: If an item on your order is out of stock you have the option of allowing your personal shopper to pick a substitute for that product on your order. EG: If they are out of your brand of chicken strips they will find another brand of chicken strips similar to the ones you ordered. Another Nice Feature: I received email confirmation of my order as well as a notice that I could edit my order anytime up to 11:59 PM on August 3rd. On August 4th I "Collected" my order! I can order groceries on-line 24/7 from the house, while waiting for the kids, or during lunch hour at work. It saves on the commute time, eliminates standing in line, and is a great time saver for a busy family. Everyone in my family can easily add items they want to the grocery order thereby eliminating the guessing game. I place and pay for the grocery order then have the option of having either myself or my son or husband pick up the order. Another BONUS: In the past if I wanted my son to go pick up some groceries I needed to give him cash to pay with (assuming I had any) but I like to pay using my VISA. Click and Collect takes care of that problem. PC Points are easily linked to your Click & Collect account. I can easily edit and add items after I submit order. There is the option to have the personal shopper filling the order make substitutions if an item ordered is out of stock. I get email confirmation when my order has been completed and a list of what items were not in stock or substituted. With the designated parking spots and call number you never have to leave your vehicle for pick up which is very convenient for parents with small kids, the elderly or those with mobility issues, everyone living through a typical Ottawa winter and me still in my yoga pants ... again. Nathan and Duncan who took care of my order were a delight. They were polite, helpful, and interested in my feedback in order to make the customer experience outstanding, and in my opinion it was. I found the price point for the Click & Collect service very reasonable ($3 off peak hours and $5 weekends and peak hours) My time alone has to be worth $5 plus my groceries are delivered to my car. There is no term or contract so Click and Collect can be used on occasion as needed or weekly for your regular grocery order. The only thing I didn't love was I had to decide on store and pick up time before starting my order. I would like to be able to have a running saved grocery list my kids, husband and I add to until I decide when and where I want to collect the order. I tend to shop once the list has reached a size that warrants the time and gas of the trip or we have run out of essentials. In fairness I don't transition well and it may just be a matter of me getting used to it. The truth is my life with two teens is busy and chaotic, but even in the chaos I need groceries and Click and Collect can help with that. How would Click and Collect help with your busy life? 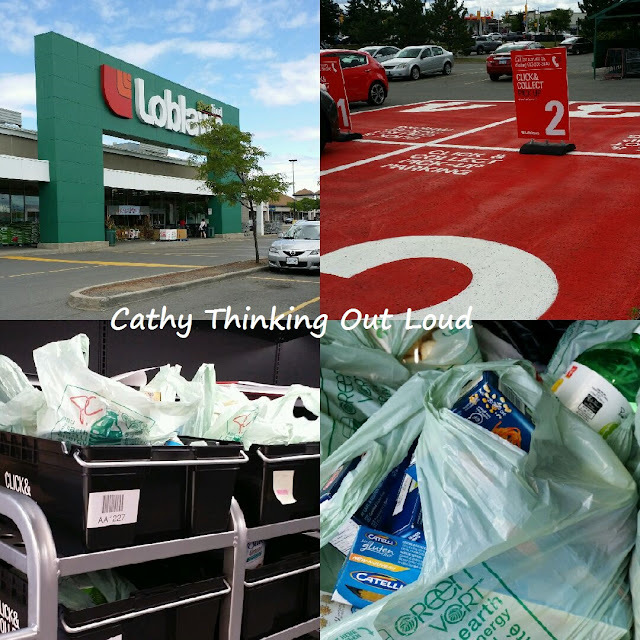 Yep, just me Cathy thinking out loud about grocery shopping. 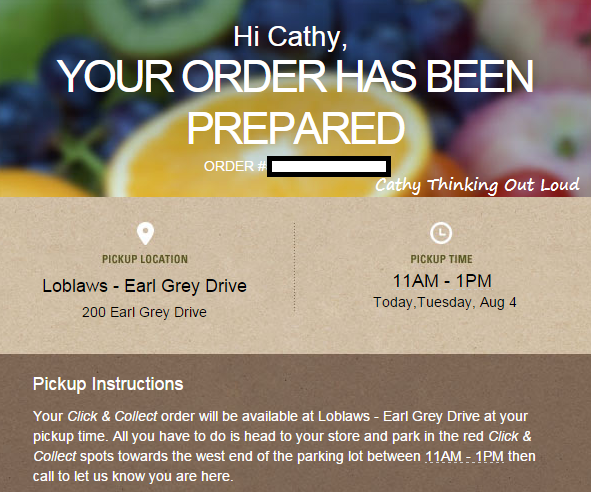 Note: I received compensation in the form of a Loblaws gift card in order to try LoblawsOn Click and Collect service. All opinions are my own based on my personal experience with the brand and service. "Summer" is just code for adventure waiting to happen. There's something about summer that makes it perfect for adventures and quests. As a child I knew and embraced it and as a parent I encouraged it. Summer is when the lack of school and schedules allows us to step out of our routine and comfort zone and try something new. I don't think any of us really loses that childhood dream of adventure or to have that one great quest, I think it just gets muted with the business of life. But it's important to remember what dreaming of an adventure that is only limited by imagination, ability to dream big and tenacity feels like. I believe that's why adventure themed movies and shows continue to be so popular for kids of all ages. 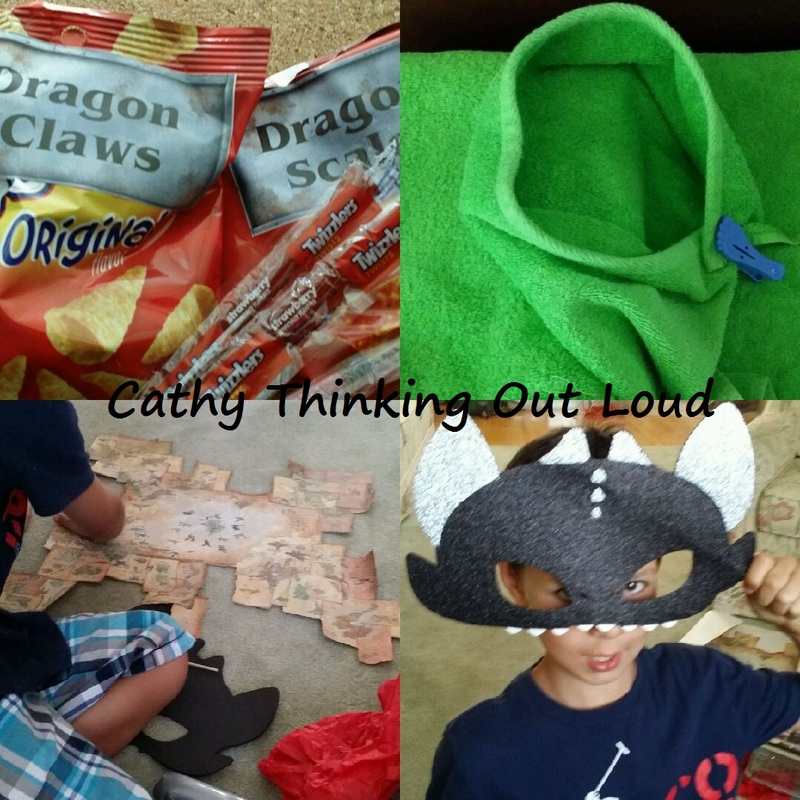 They allow us to share that sense of adventure with our kids in an afternoon right in your own home. With the right survival tools (snacks) and navigational tools (X marks the spot map) a cape made from a towel thrown in for good measure, your adventure is ready to begin! Netflix Dragons: Race to the Edge is the perfect summer afternoon Adventure! I 'd love to hear about your favourite adventure movies to share with your family, and how you prepare for watching them together. Do you have special snacks or rituals you do while watching a movie together? Note: As a member of the Netflix Streamteam I receive Netflix and a streaming device free of charge for the purpose of my Netflix Streamteam posts and reviews. All opinions are my own.